These days our need for security is more important than ever. There are a lot of crazy people out there, as well as thieves, vandals and other miscreants. So you have to have some eyeson your home while you are away. The Unijem Wall Light Security Camera is a good solution. It has a four-in-one design that consumers will love. The unit starts recording the instant motion is detected then sends an alert directly to you on your smartphone so you can check things out. Hopefully it was just a stray cat, but if it turns out to be a robber, well, that guy is not going to have a good night down at the police station. You can access the 180-degree video feed day or night thanks to the built-in night vision capabilities.You will always have eyes on your home. 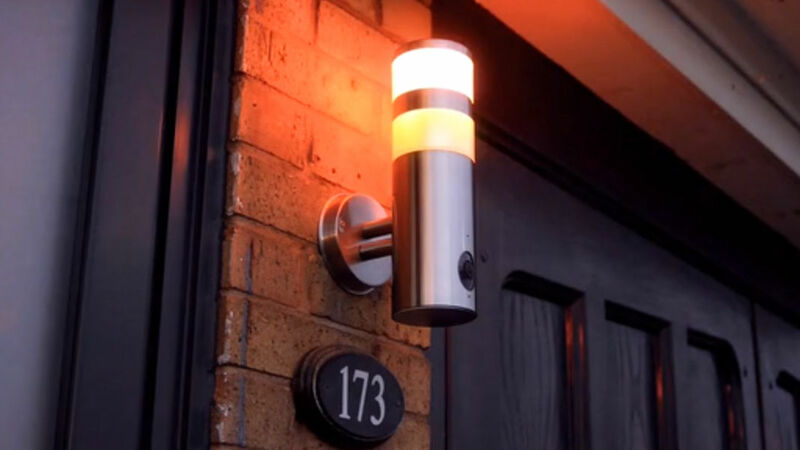 It also features a built-in alarm to scare off thieves and draw attention to them. You can also get notifications as soon as someone approaches your driveway or door, and you can have a two-way conversation with them. The unit is also a light that can be turned on and off remotely with 16 million color selections. This is the only security camera that you will ever need.